My name is Heather Matthews. I grew up in New Brunswick, Canada. I now live on the West Coast, in Vancouver. It rains now and then, but I love it. I started writing essays in school, and I was encouraged to write more. From the age of 8, I was writing stories on my own, but I tended to keep them private. As an adult, I developed the courage to share my work with the outside world. I began writing for magazines like Canadian Living, and doing freelance work for clients all over the world. Then I knew I was ready to start writing novels. I’m a Mom, and I have a fourteen year old son named Jeremy. I enjoy spending a lot of time with him. I am a true romantic. I believe in love, and I feel inspired by the passion two people can share. I try to bring this spirit into my work. I’ve gone through hard times, just like my main character, Carrie Evans. I’ve felt the same heartache and the same doubts. But I have never given up on my dreams, and my heroine is just the same. I chose to write about a woman who rises up to great success, because I believe anything is possible. 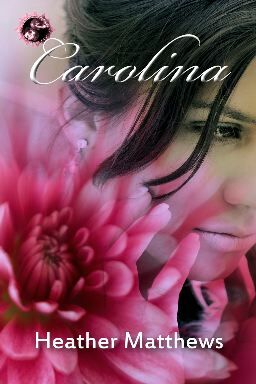 My first novel, Carolina (drama/romance), is coming out on March 27th. My second novel, a magical adventure for young readers (Below The Sapphire Sea), will be released next October. Anyone who has experienced love, with all its trials and tribulations, is probably qualified to write romance. However, I’ve spent years perfecting my craft through freelance work and short stories. I’ve devoted myself to creating truly memorable characters. I always get caught up in my stories, so it’s easy to stay on track. Sometimes I even dream about my characters. I write because I have to. It’s my form of creative release. I would do it no matter what. I’m learning a lot about the publishing business, and my greatest hope is that I can reach a wide audience. If money comes from that, it will be a nice bonus. My website is quite successful. I post all my freelance work on the site, along with some blog posts. I write about all kinds of things: astrology, parenting, phobias, current affairs, Hollywood…I get a fair bit of traffic to the site. People can see my book when they visit, and order it through a link I’ve set up. I have found social networking sites like Facebook and Myspace are a fun way to promote. It’s not work to talk about my book when I’m chatting to good friends. Facebook is a great tool for writers, and a wonderful meeting ground for old and new friends. I sell the book through a link on my own website: www.heathermatthews.ca By clicking on my book cover, you can go straight to Amazon and pick up a copy. My book is available on Amazon.com. Target.com, and at www.cacoethespublishing.com. It will be available at Borders and Barnes & Noble websites in the near future. My book is available in e-book format, as well as print format. I have already finished my second novel, and I’m definitely going to keep writing novels. It’s my favorite way to write. I’m currently writing a novella. It’s a romance. And I’m sketching out some ideas for my third novel. Hopefully, my books will touch readers. Once they feel connected to my work, things will fall into place. I’m committed to getting better and better, so I can keep my bond with readers alive. Setting up a website has been very positive for me. It’s too early to tell. My book comes out on March 27th. I’ve been selling pre-sale copies on Amazon, and I’m happy with the way things are going so far, but I’m bound to make some mistakes. Of The Dolls) and Judith Krantz (Princess Daisy). I’ve always enjoyed romance with a touch of Hollywood glitter, so I wrote about a poor girl, Carrie Evans, who endures hardship and heartbreak. Eventually, she becomes country music’s hottest new superstar – Carolina. Along the way, she meets Jacob Goldman, a record company executive who sees her true potential – and falls deeply in love. Unfortunately, he’s involved with Stella Davis, a country star of his own creation. And she doesn’t take kindly to competition. I poured my whole heart and soul into this book. I tried to show a range of emotions, while maintaining a fast-paced story that features glamorous locales like LA, Memphis, and even Jamaica. Carrie’s journey is something any woman can relate to. We all have our dreams and desires, and you may find you care very much about her life after only a few pages. I’ve been told that the book has everything it needs to keep a reader turning the pages. Readers enjoyed the scope of emotions, the changes in scenery, and the believable characters. My editor expects my book to do well, and I hope it does. The book is very current. It had lots of pop culture references, and they give the novel a gritty, contextual feel. The main characters are well drawn and dimensional. Noone is a cookie-cutter stereotype. My characters make decisions that are good and bad, and they work through problems, just like real people do. This book will take you into another world, and it will allow you to live out the dreams we’ve all carried with us since childhood. For example, many of us have imagined ourselves living the life of a glamorous celebrity. For Carolina, this dream comes true, and we can live through her and feel all of her emotions. 26. What sparks your creativity? Any tips to help others spark their own creativity? I’ve been writing for as long as I can remember. I lose myself in my own stories, and they seem to take on a life of their own. When I go back and re-read my work, and enjoy my own story, I know I’ve done something right. This keeps my creativity flowing. Films, books, and music are also powerful creative tools for me. I would recommend that any fledgling writer set up a little creative time each day, surrounded by music and other things that inspire beautiful words and imagery. It comes from the heart. I would write, even if I were the richest woman on earth. I think most authors feel the same way. 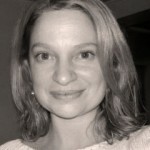 I’ve done all the typical things, such as setting up a personal website: www.heathermatthews.cawww.toptenz.net. By writing interesting material, and putting a big ad for my book on the bottom (through the kindness of my employers), I’ve found a wider audience for my work. My book isn’t a typical romance, and yet it’s very romantic. There is passion and longing, but also a lot of other feelings. Depression, jealousy, and grief also surface in the book. One character struggles with addiction, just as so many people do in the “real world”. Another suffers tragedy that scars her from within. There are many areas to explore in the human heart, and I try to touch on all of that in this book. It’s a little deeper than some romances, and it may touch you for this reason. 30. Why does the topic of your book interest you? Why would it interest potential readers? Give us a hook to reel in new readers. In the age of American Idol, America loves contests and competitions. My character becomes involved in a huge competition, and it’s exciting to read about it from the “inside”. If you love shows like American Idol, you’ll enjoy Carolina.